Near the city of Kolín lies a small village known as Býchory (only 7 km northeast). 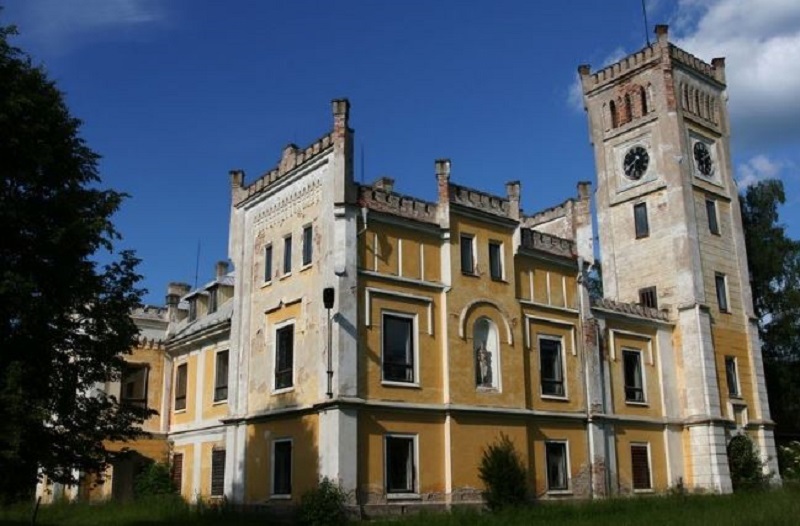 In this village, sits a unique a Neo-Gothic castle chateau estate. 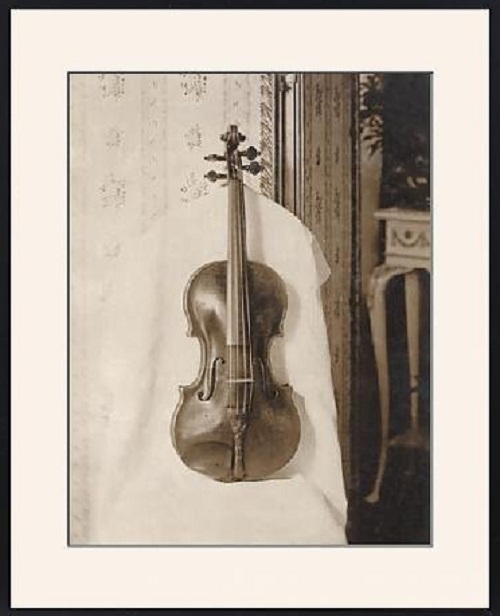 Today we are going to call the Býchory chateau, the castle of the Stradivarius violin because it was once owned by world famous Bohemian violinist and composer, Jan Evangelista Kubelík. 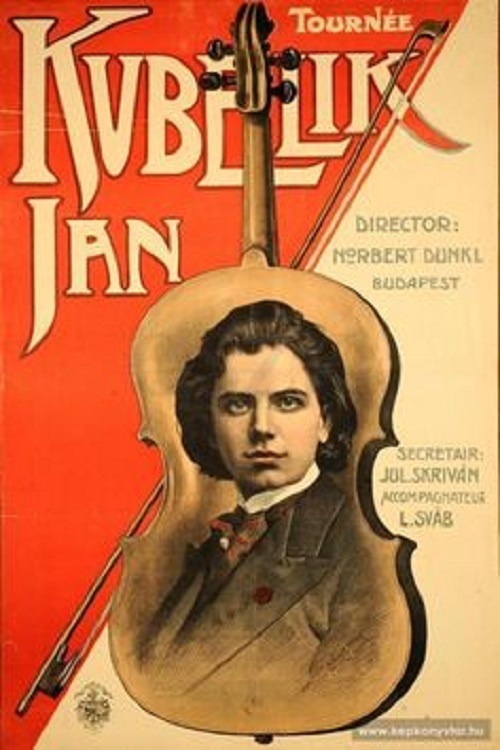 Jan Kubelík was born in Michle (now a part of Prague) where his father, a gardener by occupation, was an amateur violinist. 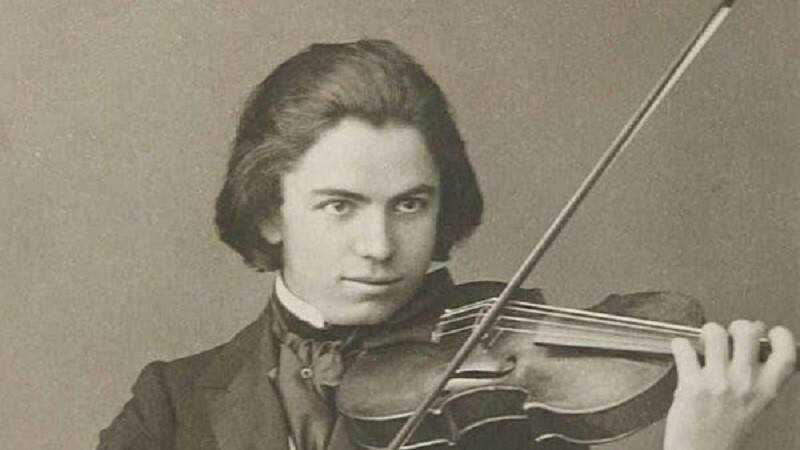 He taught his two sons the violin and after discovering the talent of Jan, who was aged five at the time, arranged for him to study with Karel Weber and Karel Ondříček. He was rumored to be a wunderkind from early childhood. The eight year old Jan was not afraid to perform in public and he easily gave some variations on Paganini. 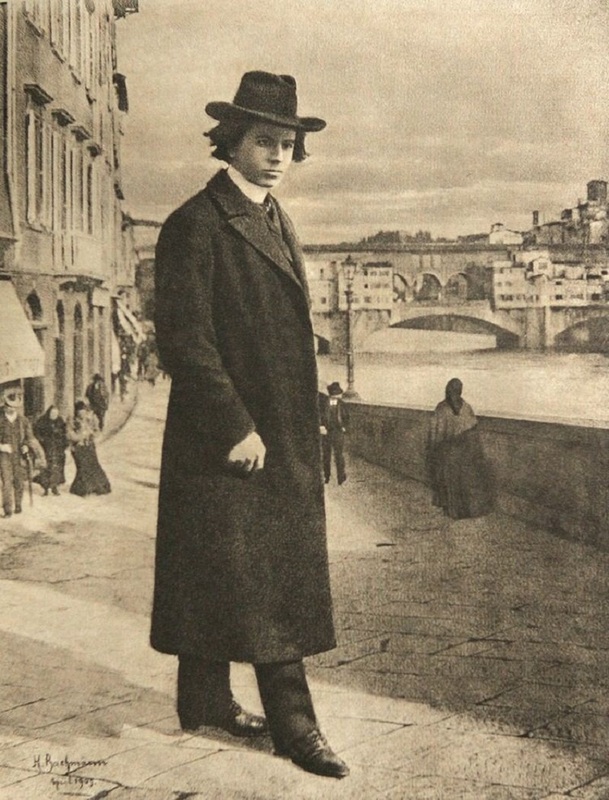 By the age of twelve, his career began escalating and as a result he got into the Prague Conservatory. An exception was made for this talented boy, because normally, one would have to be at least fourteen years old to attend. 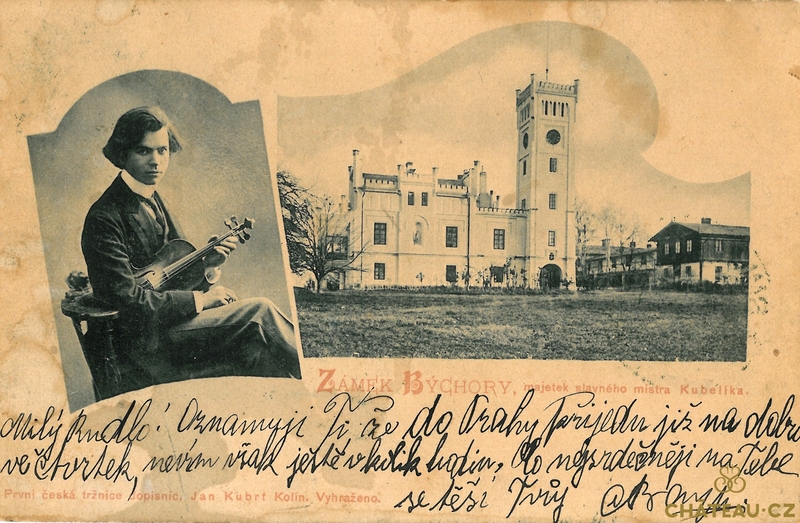 At the Conservatory, Jan studied with Otakar Ševčík. In Russia, his concerts would sell out within the first few hours. 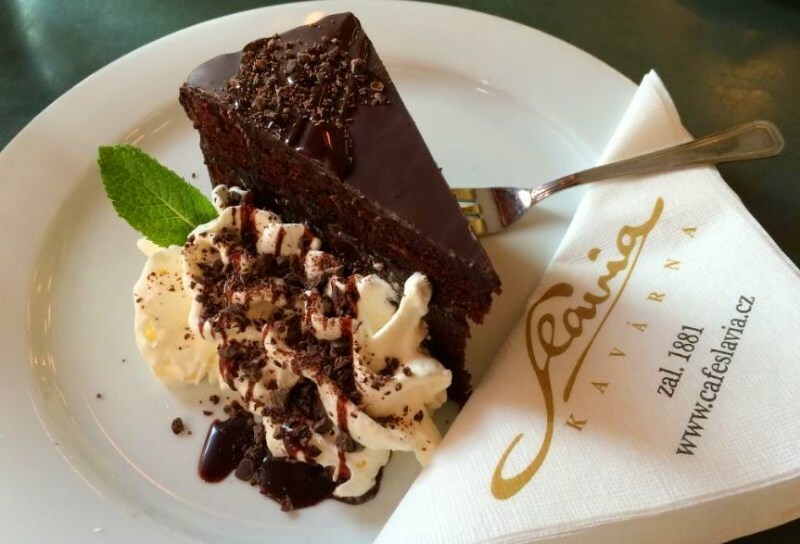 As a sign of respect to his homeland he received an honor from Tsar – the Order of St. Anna. Upon completing his concert in Paris, he received the Chevalier Legion of Honour. 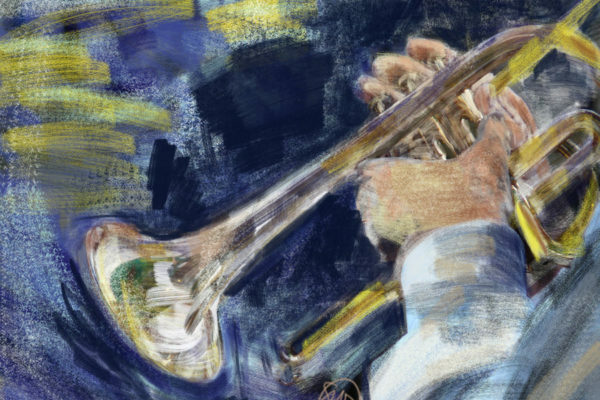 As a child, he used to practice 10 to 12 hours a day, or “until my fingers started to bleed, he would later say. 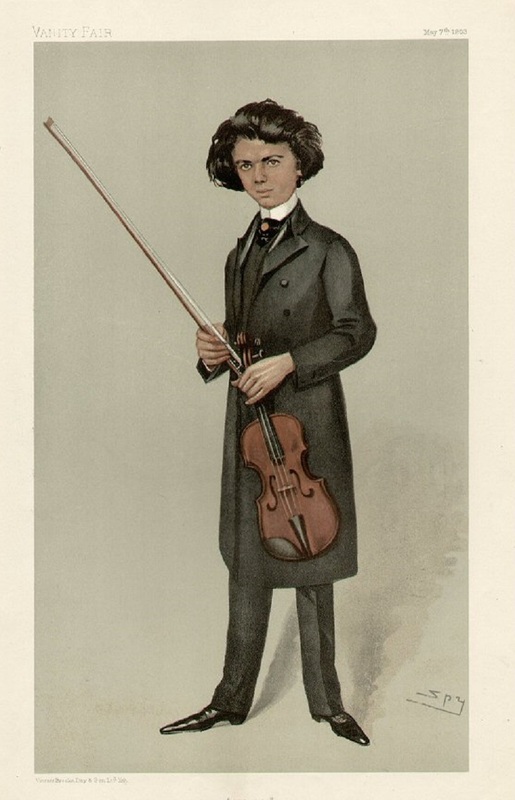 He was known, at a very young age as a genus and virtuoso, much younger than most of his peers. After 1898, he toured as a soloist, soon becoming renowned for his great virtuosity and flawless intonation, and his very full and noble tone. 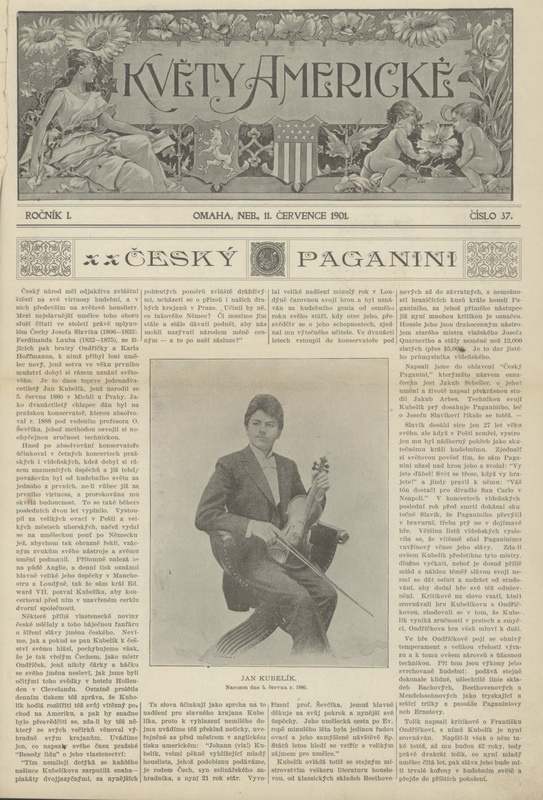 In fact, he quickly earned the name “The Czech Paganini”. 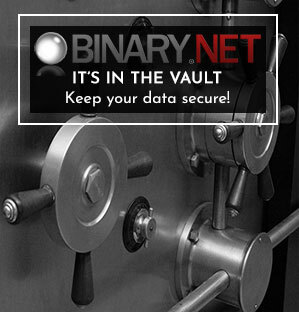 You can click the image below to see it in a larger size if you wish to read the article. Kubelík played a Guarneri del Gesù violin and also owned two Stradivarius violins, one being the world famous 1715 Stradivarius Emperor. On Christmas of 1910, Jan Kubelík bought the priceless musical instrument – the famous Stradivarius violin Emperor from 1715. Together with the Emperor, Jan traveled around the world and played on this instrument for his children until the end of his life. 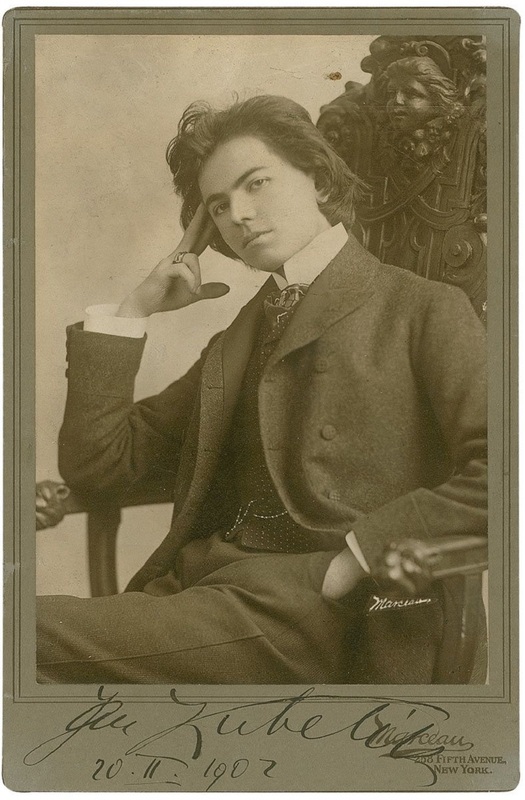 After great success following his debut in Vienna, and in London (where he first appeared at a Hans Richter concert in 1900), Kubelík toured in the USA for the first time in 1901. 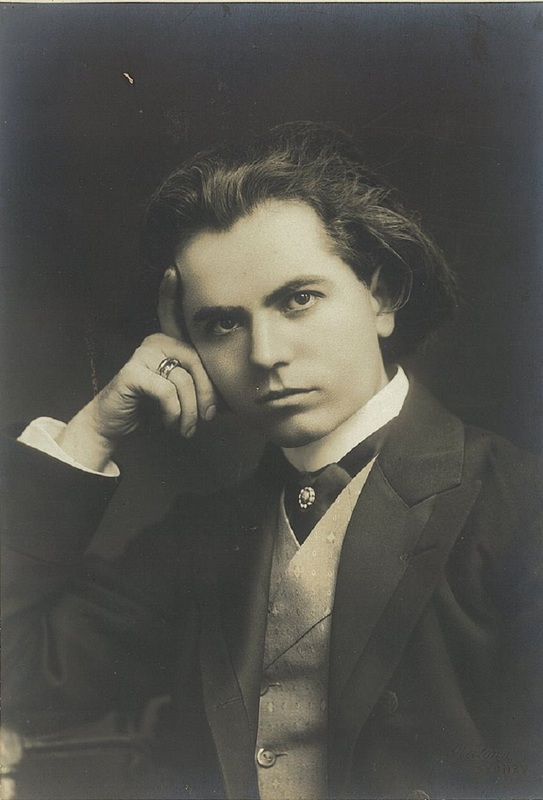 He made his first appearance for the Royal Philharmonic Society, London in the season of 1901-2, and in 1902 was awarded the Society’s Gold Medal (in succession to Eugène Ysaÿe). 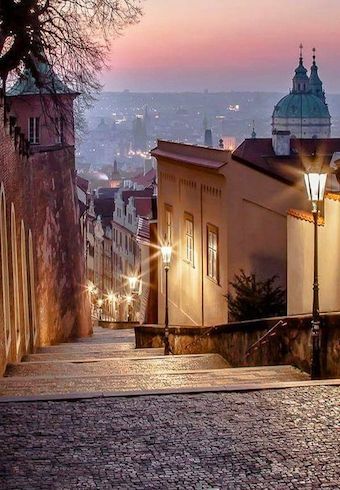 Being a very humble person from the beginning of his life (his father was a tailor), he became the patron of arts and donated large amounts of money for the emerging Czech Philharmonic. 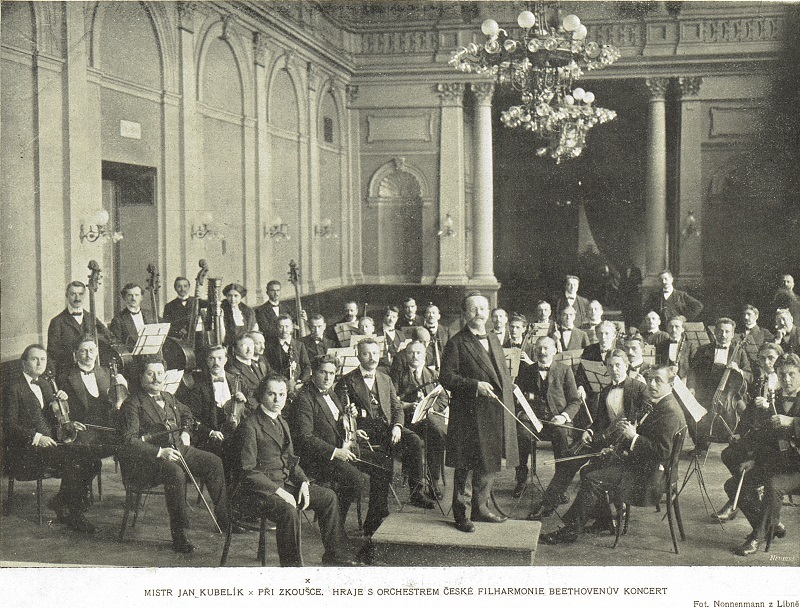 In 1902, he brought the Czech Philharmonic Orchestra to London, having assisted it financially in the previous year. Only in his early 20s, he had already traveled around the world and was receiving an astronomical salary. He was successfully welcomed in Milan, Paris and London. His concerts in Vienna were such a huge success that musical critics began saying, “if he lived in the Middle Ages he would be burned at the stake charged with the sorcery of a wizard”. One of the greatest violinists of all time, a name that stands among foremost living artists, Jan Kubelík is prepared to start on his sixth tour of the United States, Canada, and Cuba. 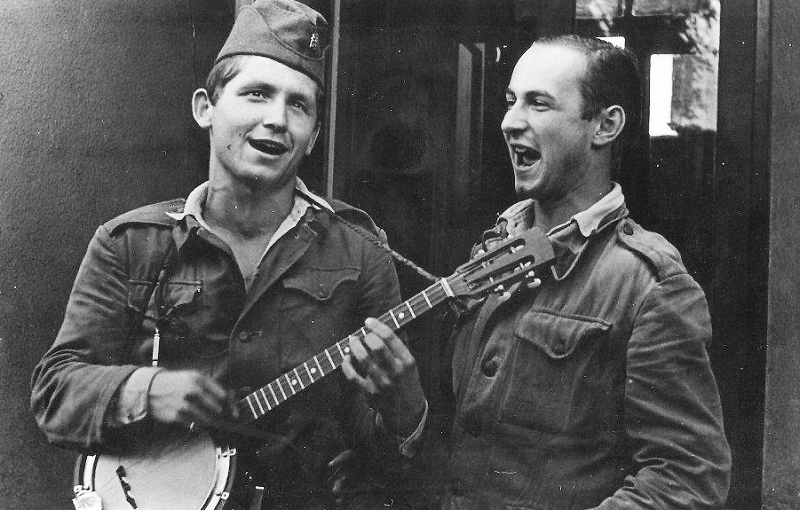 During the war Kubelík played many times for war benefits and helped substantially to relieve suffering. 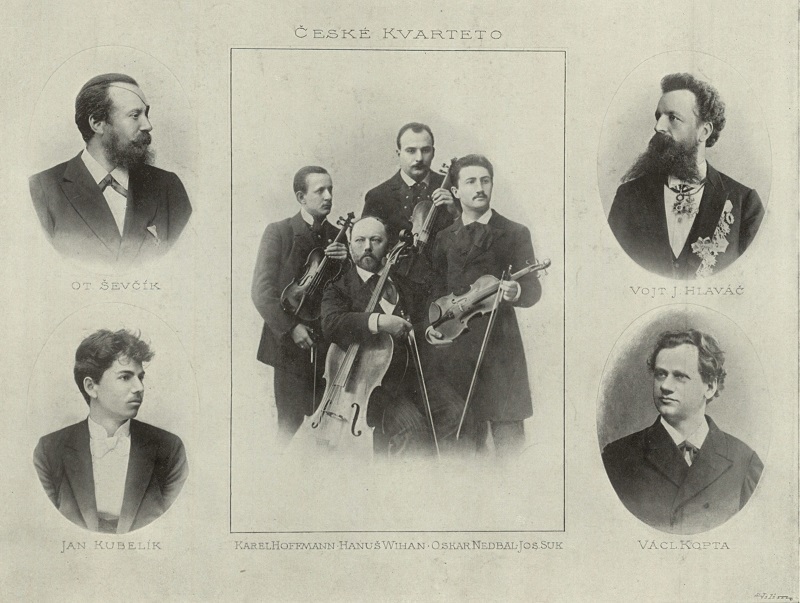 The most remarkable record of number of concerts given by any artist was made by Kubelík. In Rome, he played forty times. One of these concerts was specially arranged for His Holiness the Pope who kissed and congratulated him and also invited him to return soon to give the whole Vatican an opportunity to hear his marvelous art. 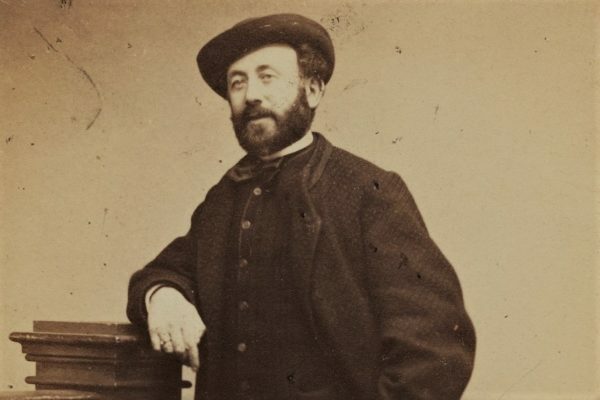 In Paris, where Kubelík has already played forty-two times and where the house had been sold out weeks ahead, he made such a sensation that he was awarded the medal of the Legion of Honor by the French Republic when he was only twenty-two. In London, which city he counts as his second home, Kubelik has already appeared seventy-five times and was accorded an honor seldom shown any other artist, namely he was awarded the Beethoven Medal, and was made an honorary member of the London Philharmonic Society. In Vienna, he has played fifty-two times, including many recitals for the late Emperor Franz Josef who rewarded him with the highest honors. 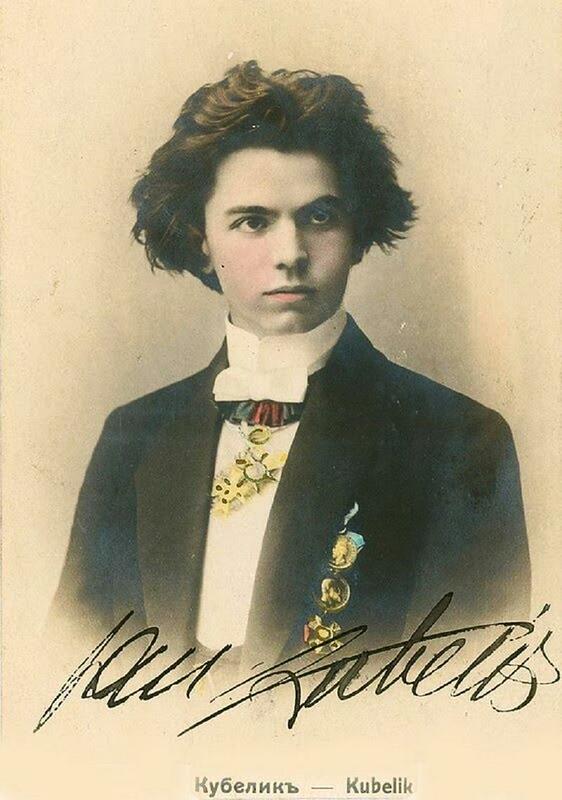 In Petrograd, where Kukelik has given forty concerts, he played four times in private recital for the late Czar and his court. In Nice, he has played thirty-four times. For his American tour, Kubelik has especially prepared twenty-two big concertos besides the three new ones of his own composition which he wrote during the war, to say nothing of over a hundred violin compositions, among which are four of his own works, namely Aria, Pierrette, Mattinata, and Melodie. Everything seems to indicate that Kubelik’s popularity in this country has in no way diminished. That he is still the idol of thousands of concertgoers here is shown by the number of inquiries received by his manager, Otokar Bartik, from individuals from all over the United States. Such was the extent of his virtuosity. 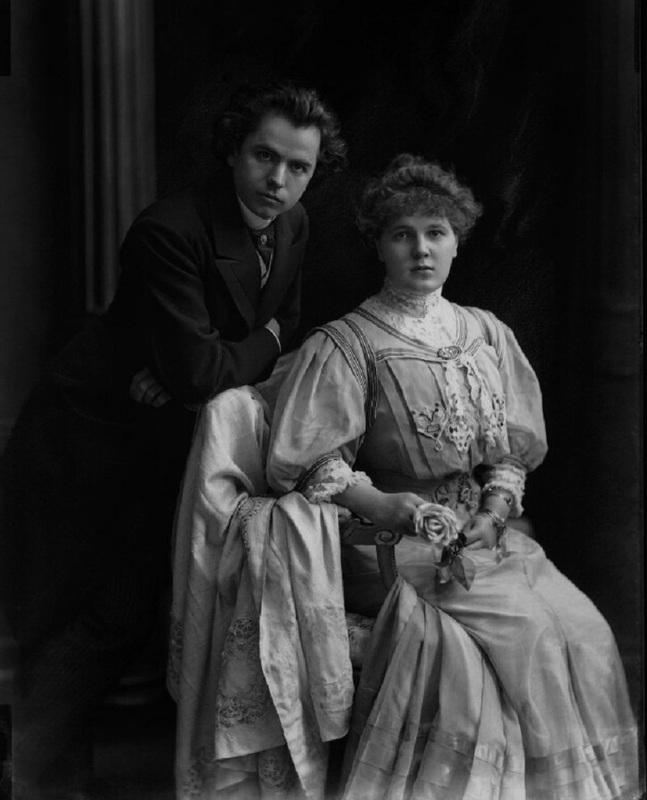 In 1903, he married the Countess Anna Julie Marie Széll von Bessenyö (Marianne Csaky-Szell) who was born on March 1, 1880 in Budapest. Anna was the niece of former Prime Minister of Hungary, Kálmán Széll. 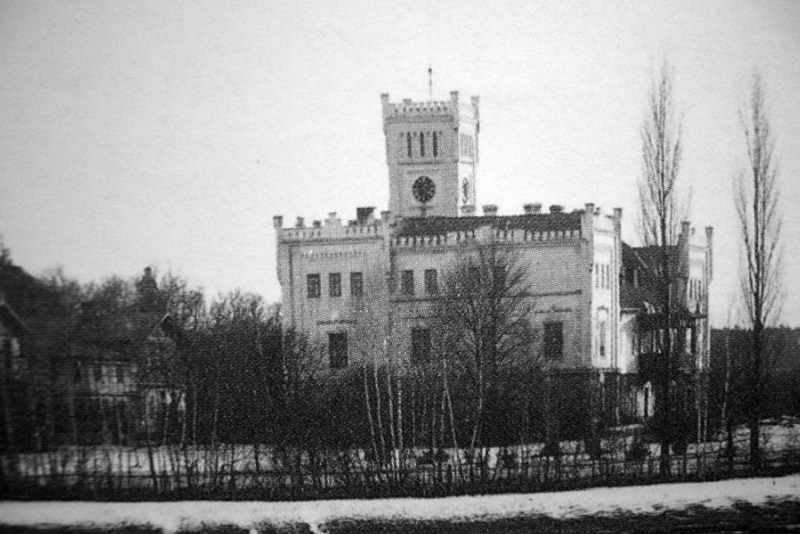 In 1904 the loving couple bought Býchory castle. A very gifted violinist herself, Marianna and Jan begin living a life full of happiness in this castle and she begins giving birth to many little virtuosos. 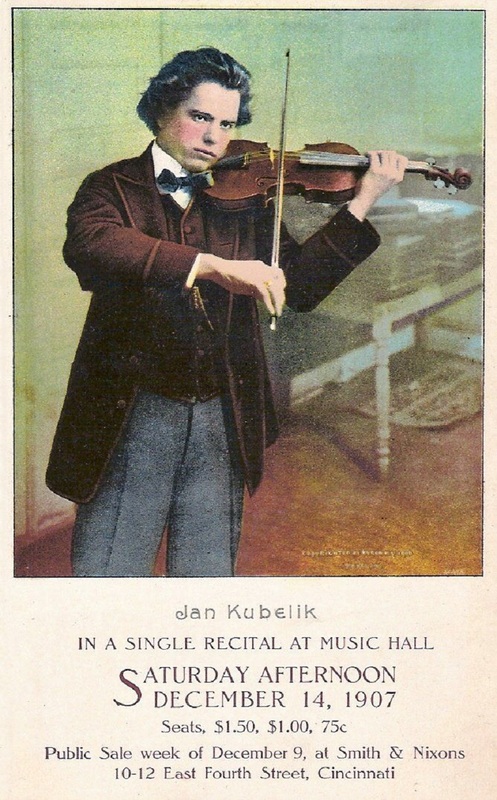 Jan Kubelík was one of the finest interpreters of the classical violin repertoire. It was said that he did not simply play, he sung through his beautiful violin! The following comes from The Notre Dame Scholastic, Volume 42 Issue 17, Publication date 1908. 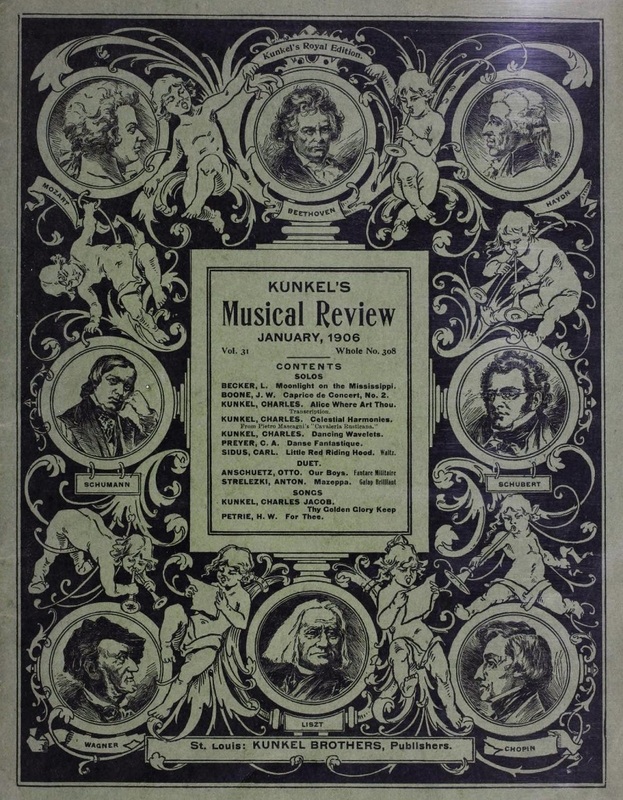 His second season was even more popular, from Kunkel’s Musical Review volume 31, number 308, 1906. According to the Bureau of Labor Statistics consumer price index, the inflation rate would make the amount he earned in the United States as follows, $100,000 in 1908 → $2,584,529 in 2018. And that was only on this first tour. Needless to say, he was incredibly wealthy. 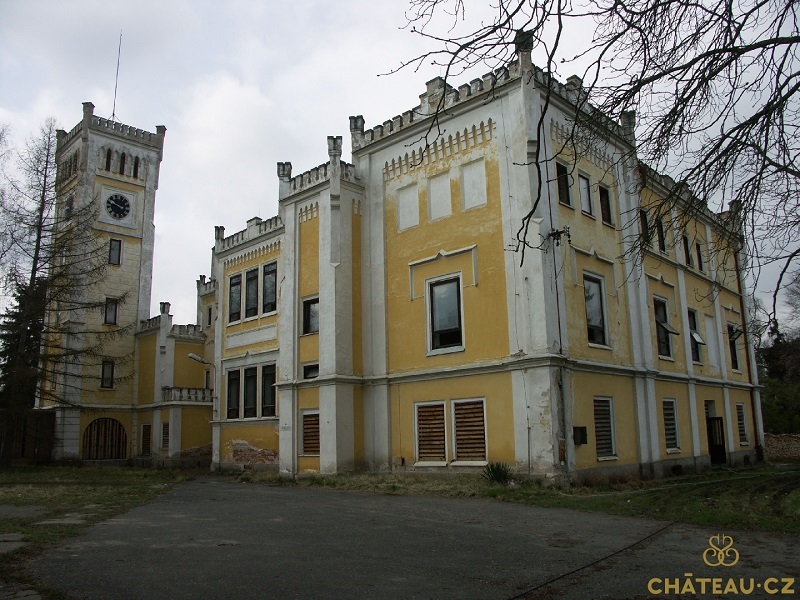 On March 3, 1904, Czech master violinist Jan Kubelík purchased the Býchory chateau and it’s surrounding forests. 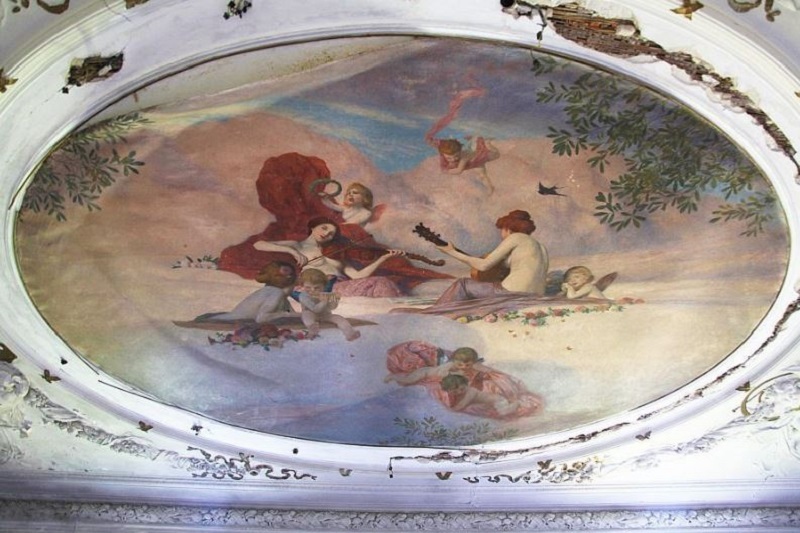 A beautiful and grand estate, this property had a rich history and was filled with beautiful frescoes, ornate fixtures and stunning architecture designed by Czech born Viennese architect Moritz Hinträger, whose plans for the estate were later discovered in the chateau. The property was a grand showplace for a virtuoso. 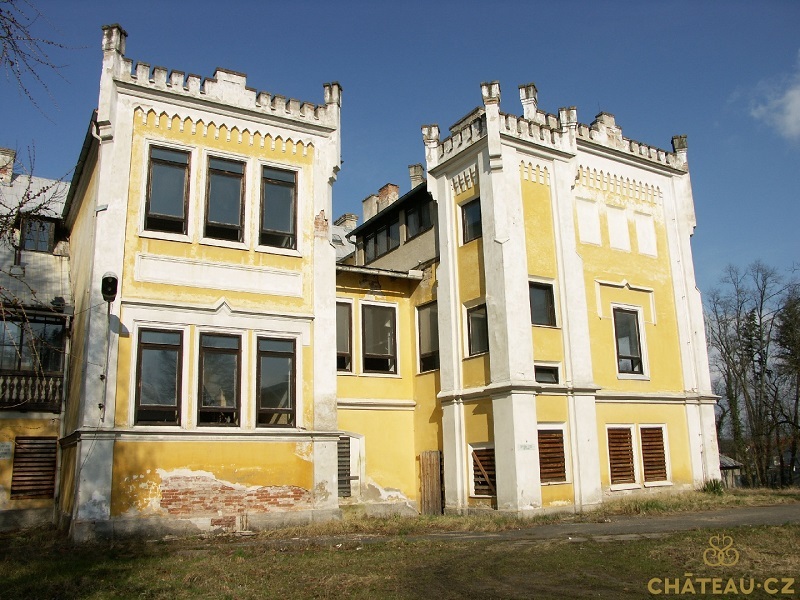 Instantly, Býchory became the center of social and cultural life with Kubelík’s ownership. The Maestro still traveled often and continued to successfully perform for his millions of fans and admirers. He also created performances for noblemen and royalty. Soon he realized that the nobles would come to him, and so the village of Býchory became famous thanks to him. 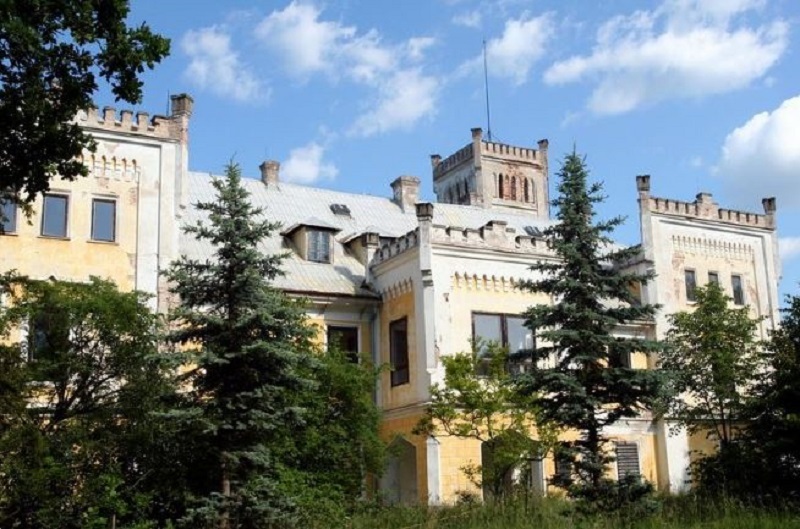 Well known guests began arriving in great number and as a result the castle turned into the prominent center of artistic life. 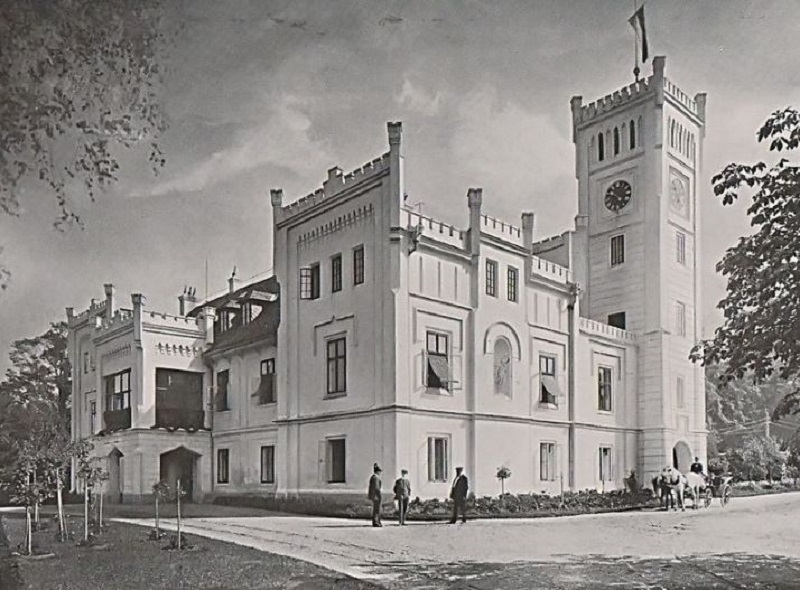 Jan Kubelík’s red and white flag is proudly waving underneath the castle indicating that the famous owner is at home. I cannot image the music that must have resonated from within. Among the honored visitors were: the Czech composer and violinist Oskar Nedbal, and the prominent educator and music critic J.B. Foerster. 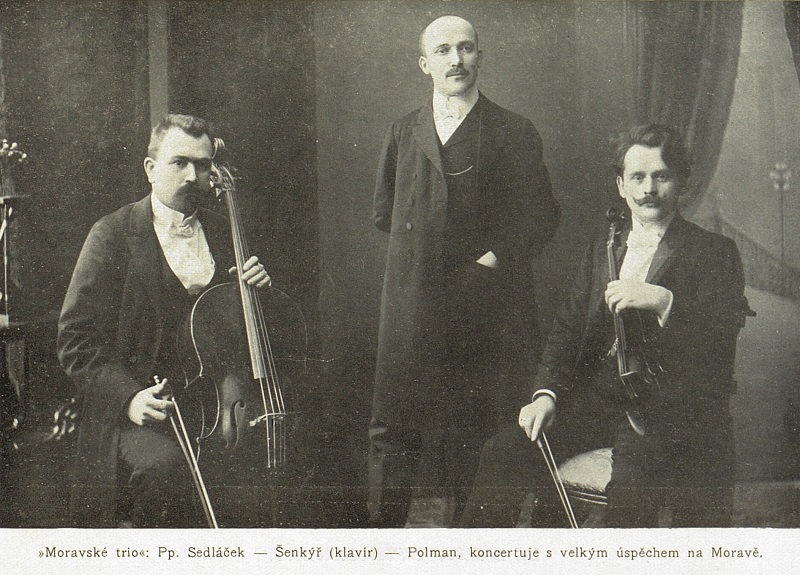 Of course, other prominent violinists such as Moravské Trio were also frequent guests. They would play, compose and rehearse for days, weeks and months on end, filling the castle‘s hallways with the sound of music. 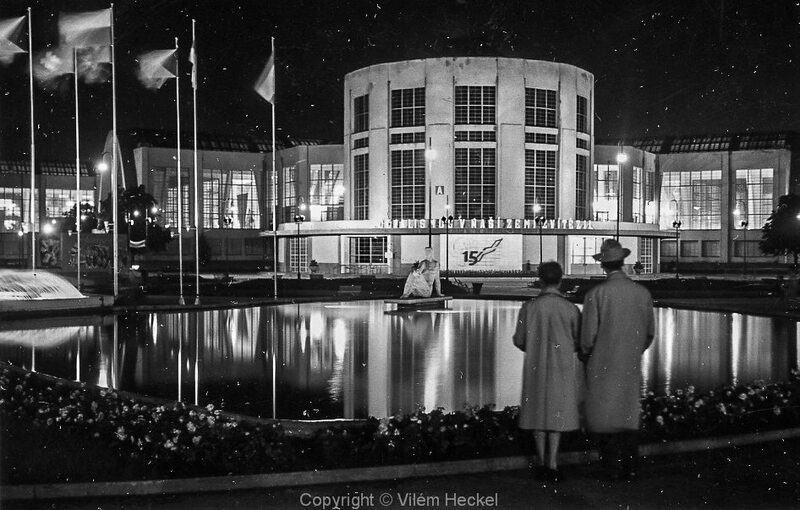 Had we arrived, we surely would have been seated in the main salon while we awaited the Maestro. 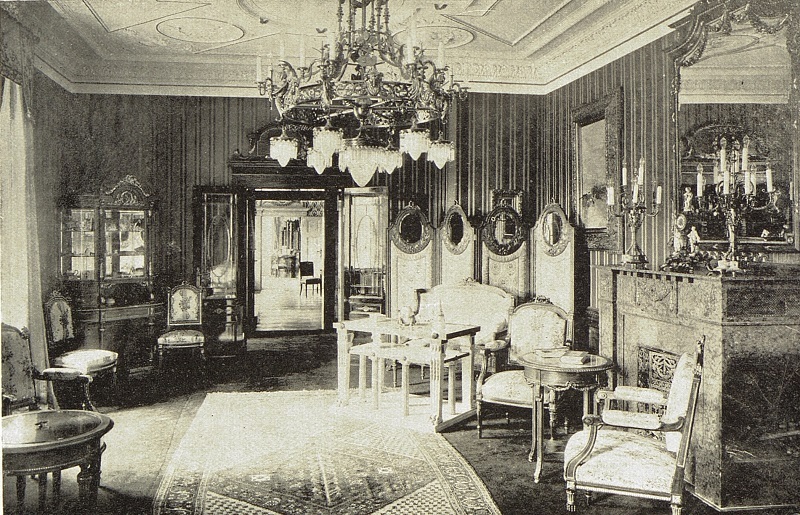 The other musicians who came to visit were likely seated in Kubelík’s smoking room, reserved for gentlemen. 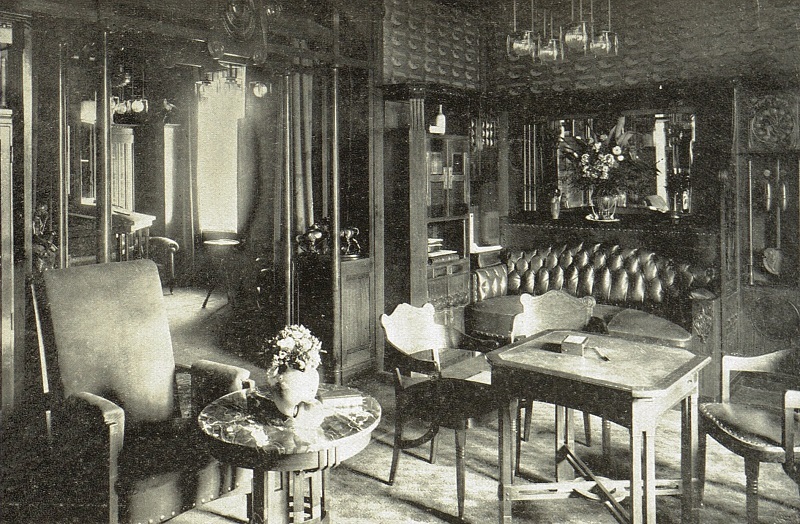 Kubelík’s smoking room at Býchory. 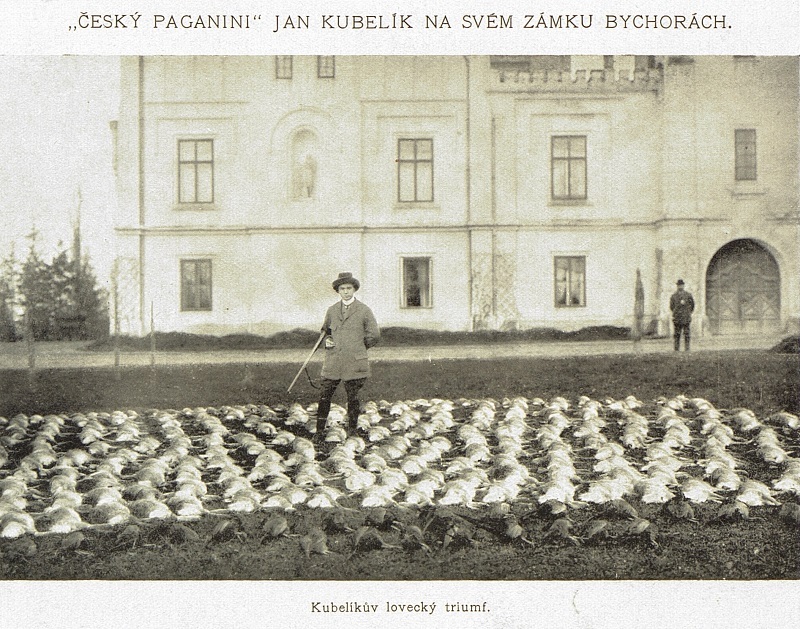 Kubelík was an avid hunter and here he is in front of the chateau with the results of a hunt, his “hunting triumph” as it is captioned. When he was home, he enjoyed time not only hunting, but also walking through his forests and in nature, in general. 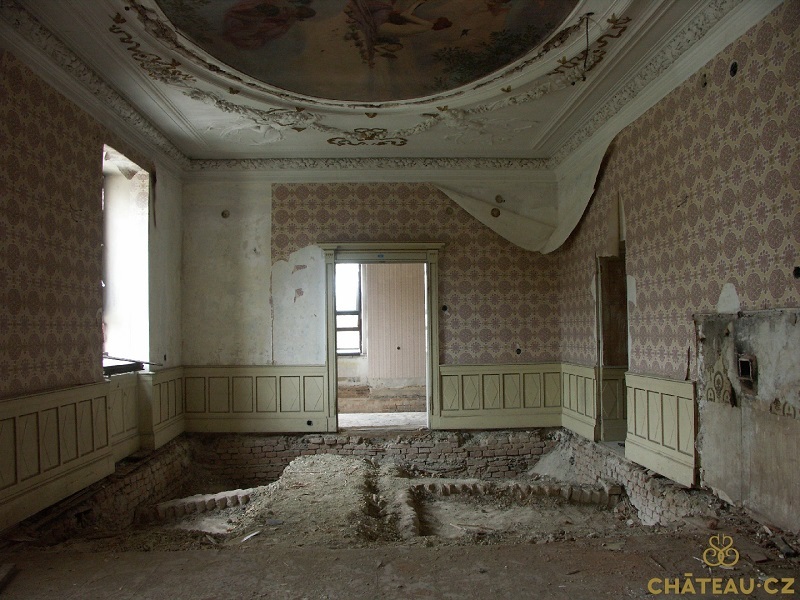 The following image was taken at the forests of the chateau. 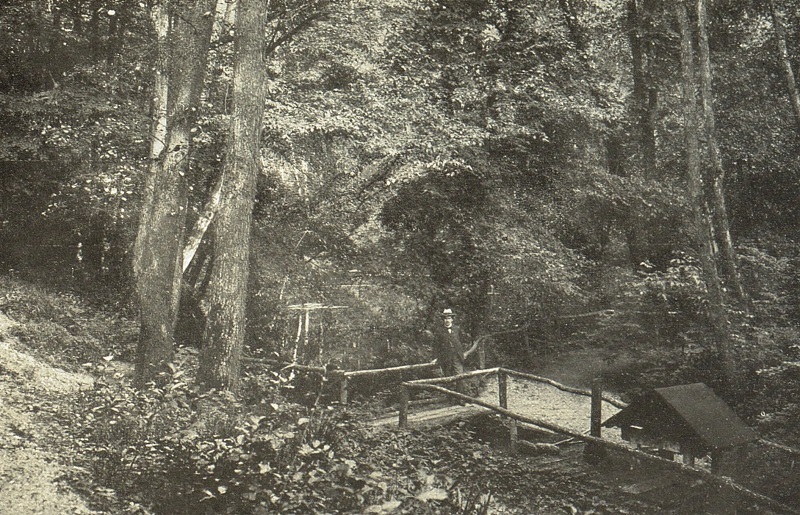 Kubelík in his forest at Býchory. 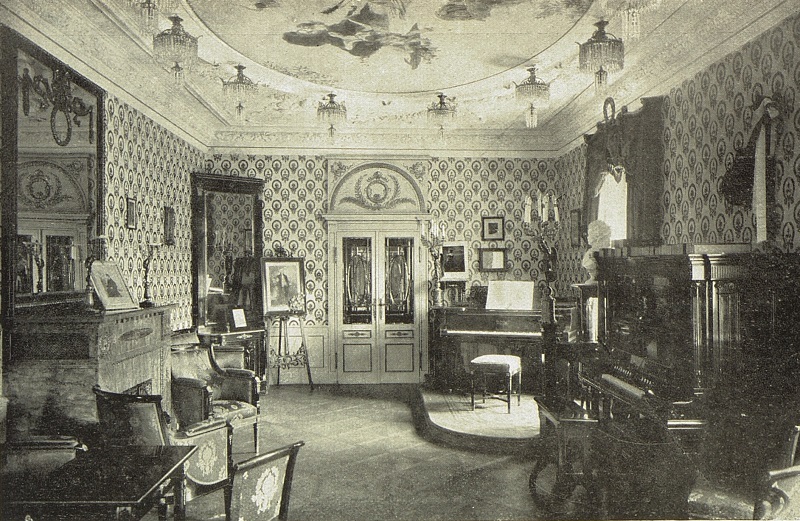 And if you have ever wondered where such a virtuoso would come up with his compositions and would make his beautiful music, here is a rare photograph of Kubelík’s personal music room and studio. Jan Kubelíks music studio at Býchory. 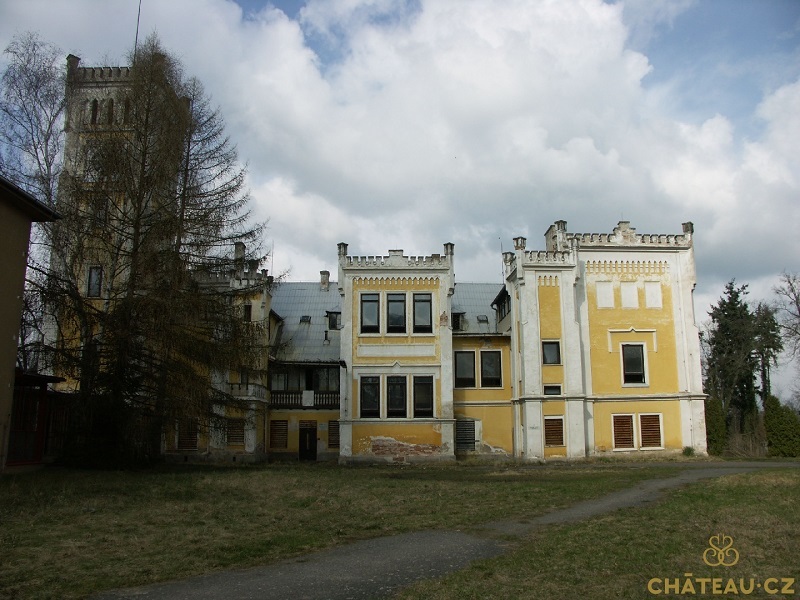 Kubelík wrote music, including six violin concertos, some here at the chateau. 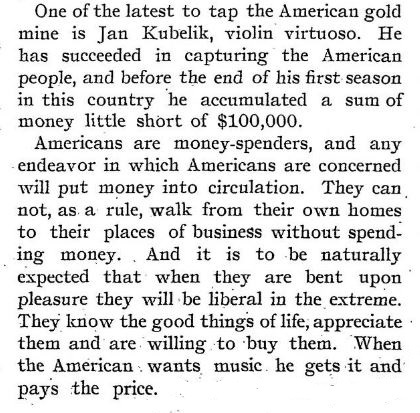 The entire world bowed down to Kubelík, in fact, his recordings contributed greatly to the success of the gramophone because everyone wanted to hear him play. And of course, Býchory was home to the Emperor as well. 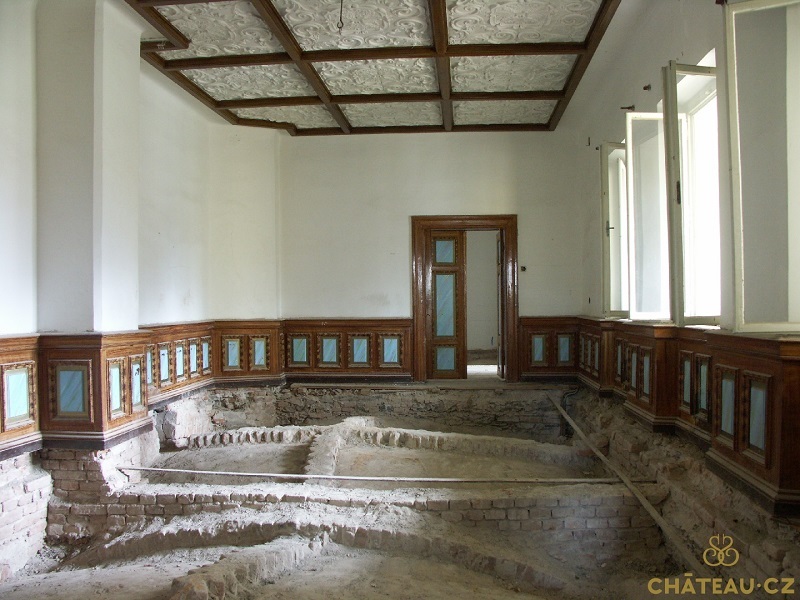 Whenever someone visited Bychory and their famous owners, they wanted to see the precious treasure with their own eyes. 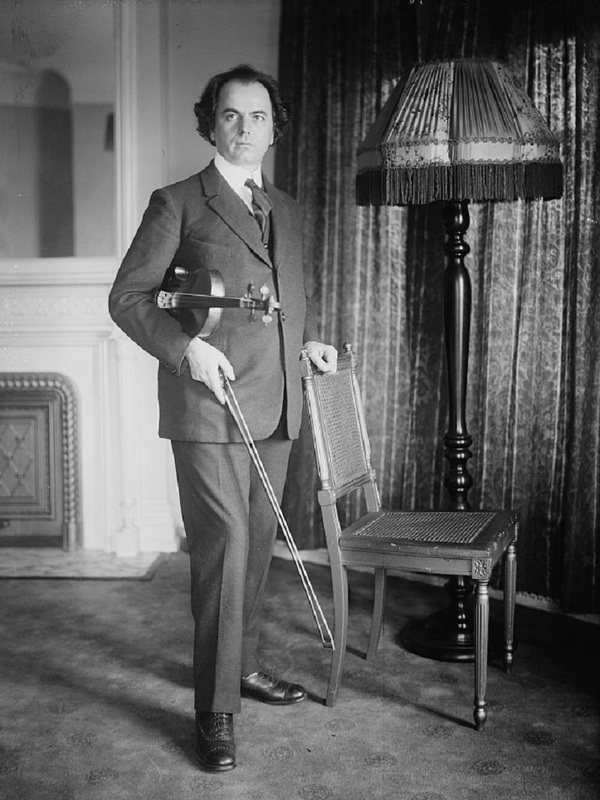 Everyone could see it, but only few lucky ones could hold the famous violin in their hands. 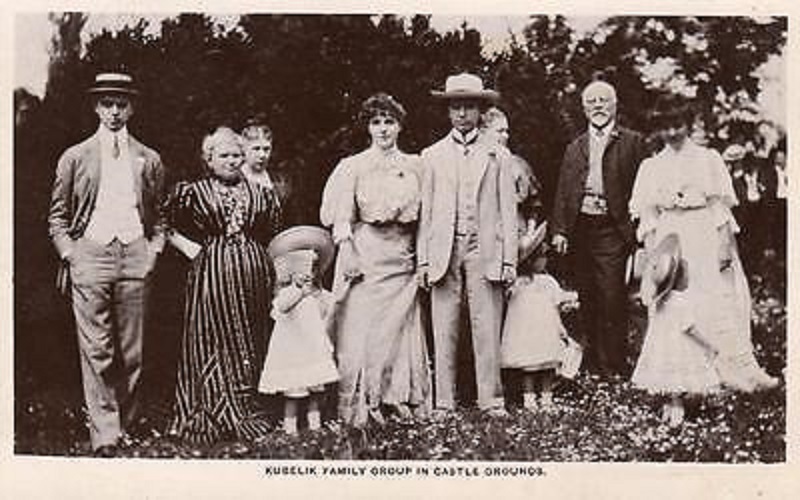 The times at the chateau were good ones and he was at the height of his professional success and family happiness, and then finally in 1914, Kubelik’s long-awaited son was born right in the castle. Welcome to the world, Rafael Jeroným Kubelík, Jan’s sixth child. Rafael would become an internationally renowned conductor, violinist and pianist in his own right. In 1950 he would become director of the Chicago Symphony Orchestra. Those must have been joyous times at the castle! Kubelík and his dog, shortly before leaving Býchory for the last time. 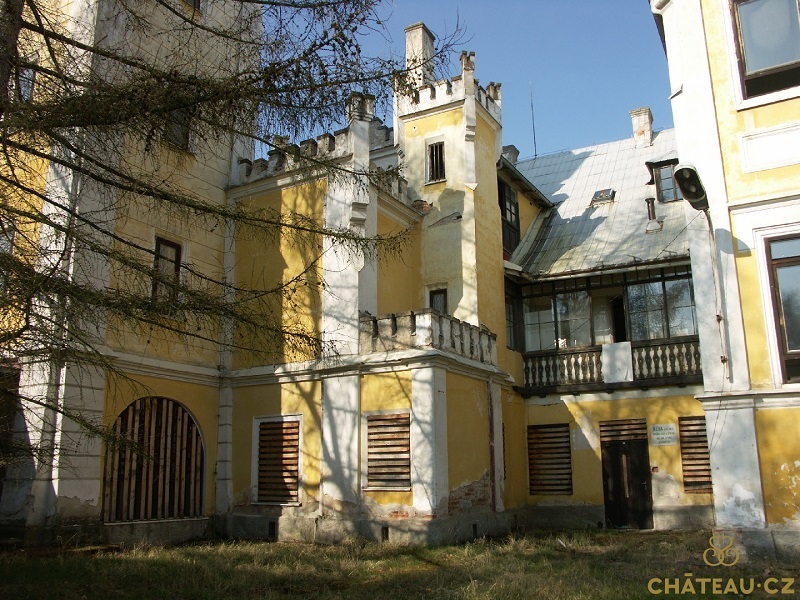 1916 was smack dab in the middle of World War I and Kubelík sells Býchory and decides to move to another castle in Orlov (close to Považská Bystrice) in Slovakia. Here he would take a professional pause from performing and continued to compose, but it can be said that the happiest period of his life definitely comes to an end. 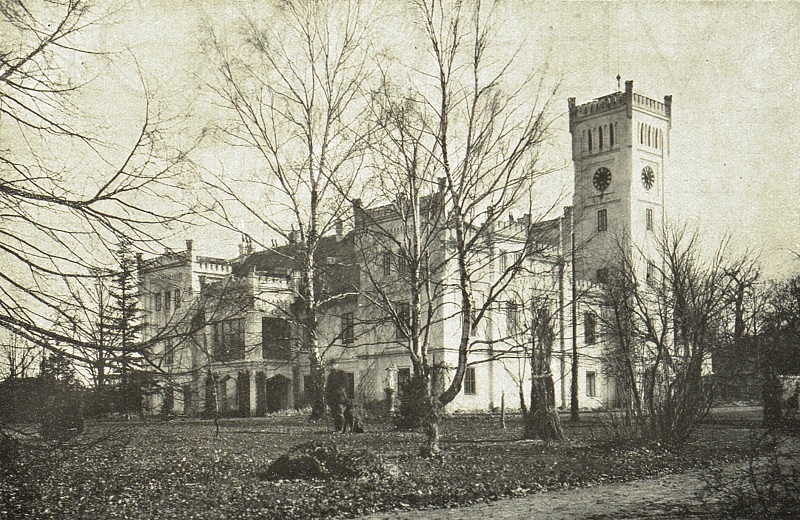 During his lifetime, Kubelík often said that Býchory had always been his very first and most happiest home. The new owner Býchory is Eugen Tauber, a well known winemaker from Prague. On December 31, 1936, the estate passed to his children. 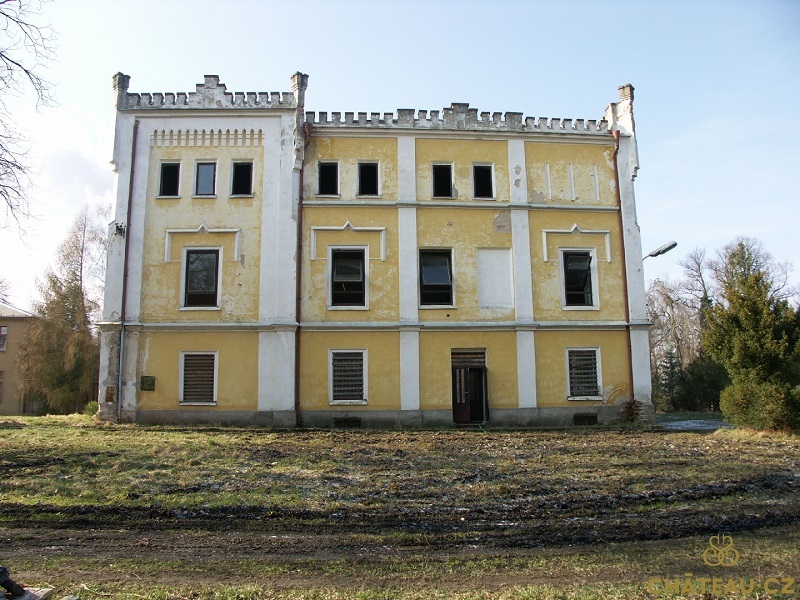 In March of 1939, the estate was purchased by Dominik Čipera, the Managing Director of Bata factories in Zlin,and Minister of Public Works. 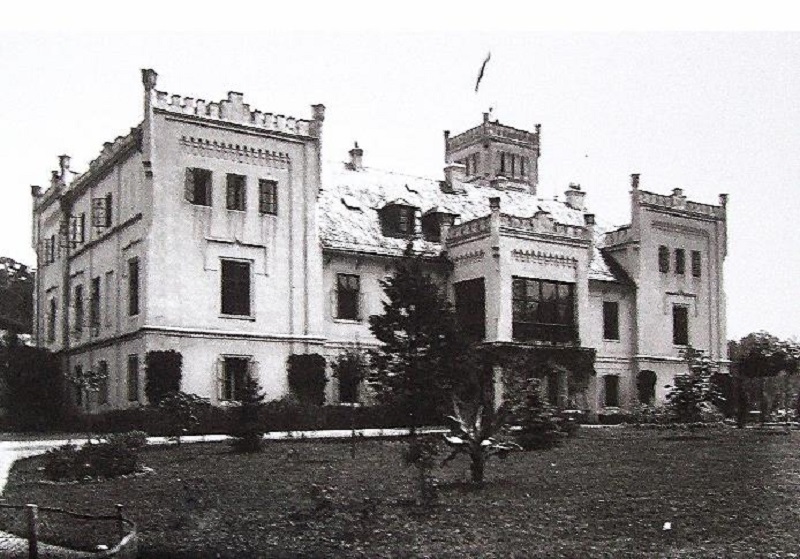 Yet, according to the guidelines Reich Protector of Bohemia and Moravia on Jewish property, this purchase was deemed void and invalid in 1940, and thus was withdrawn. 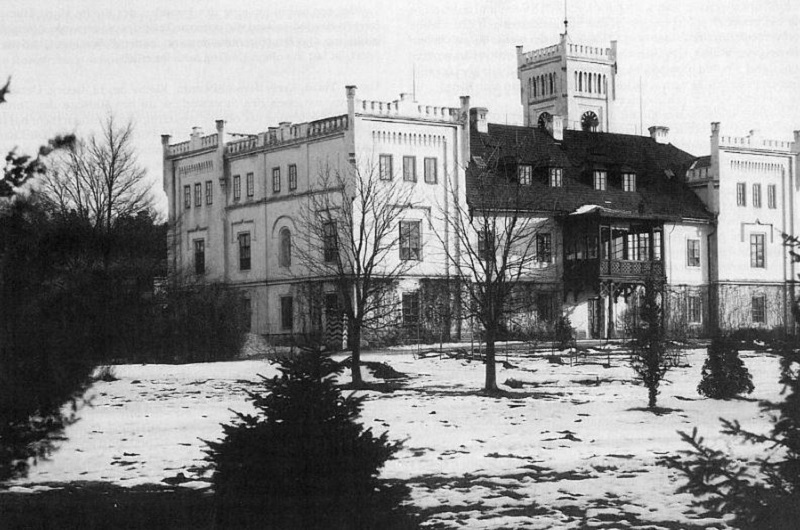 Thus, in 1941, Jan Čipera, a minor at the time, became the new owner of the estate. In May of 1948 the entire estate and adjacent lands became nationalized, including the forests and sawmills. 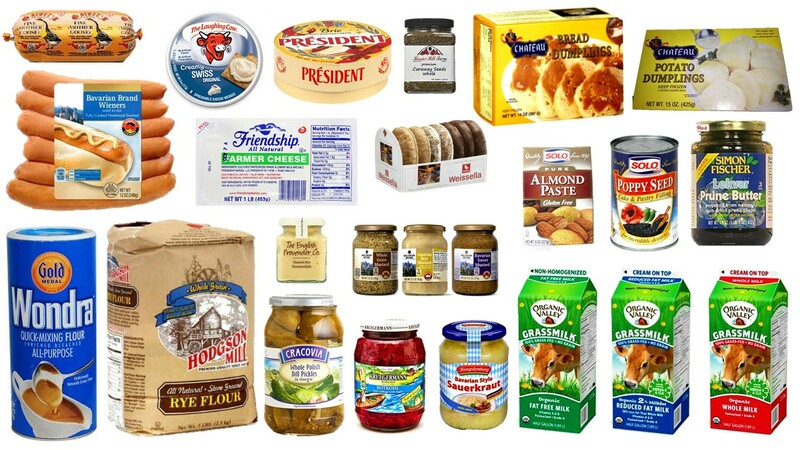 Because agricultural land was being distributed under the news land reforms, the surrounding land became a state farm and was later incorporated into the newly established unified agricultural cooperative in late 1951. The neighboring forests were also taken over by the state under national administration. 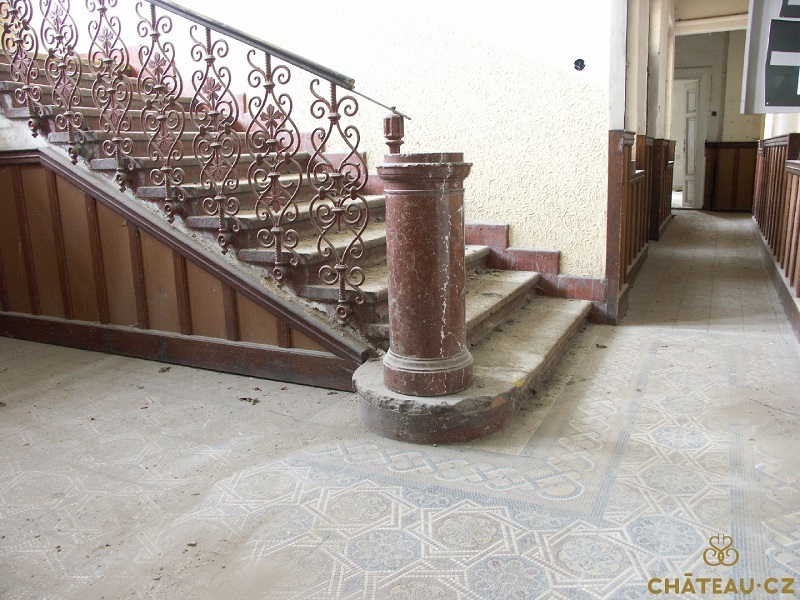 In October of 1949, the chateau became a Central Workers’ School for the chemical industry and in the following years, numerous buildings around the estate were demolished and new buildings were built for the purpose of the school. 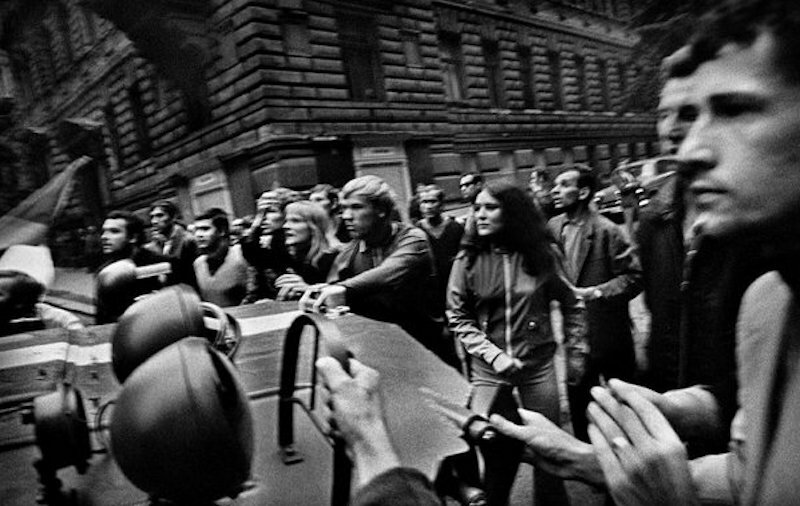 In January of 1973, the ZDŠI became the “Children’s educational institution” (DVU) and under that operation, it existed for over twenty years. 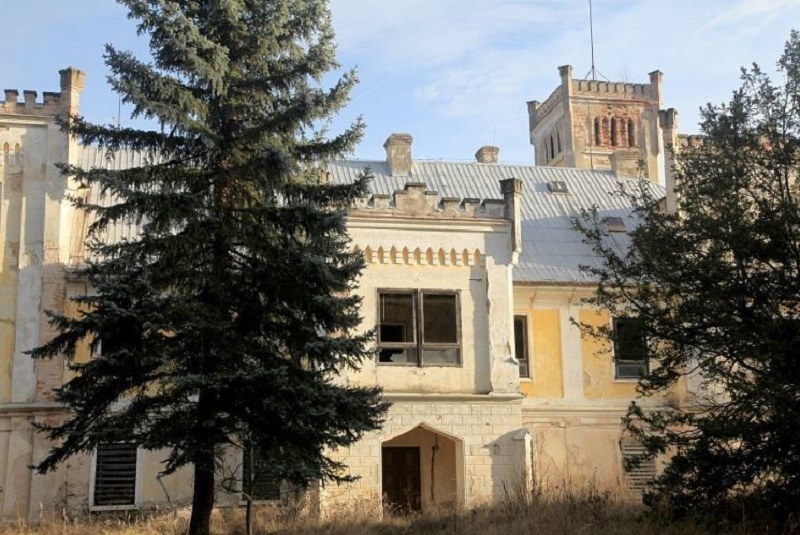 Finally, by the end of 2002, the school was completely moved, including the lunchroom and the adjacent forests were also returned to the rightful owner. 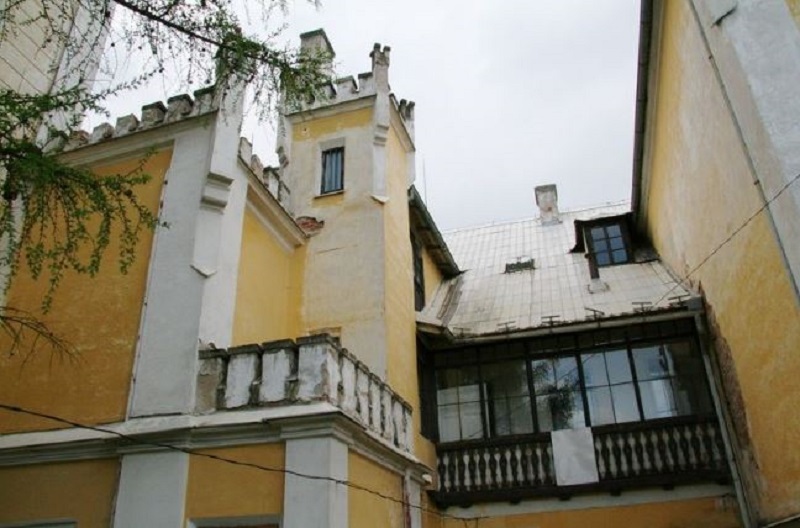 In 2006, Elitprofit company became the new owner of the property with an aim to renovate the entire castle. 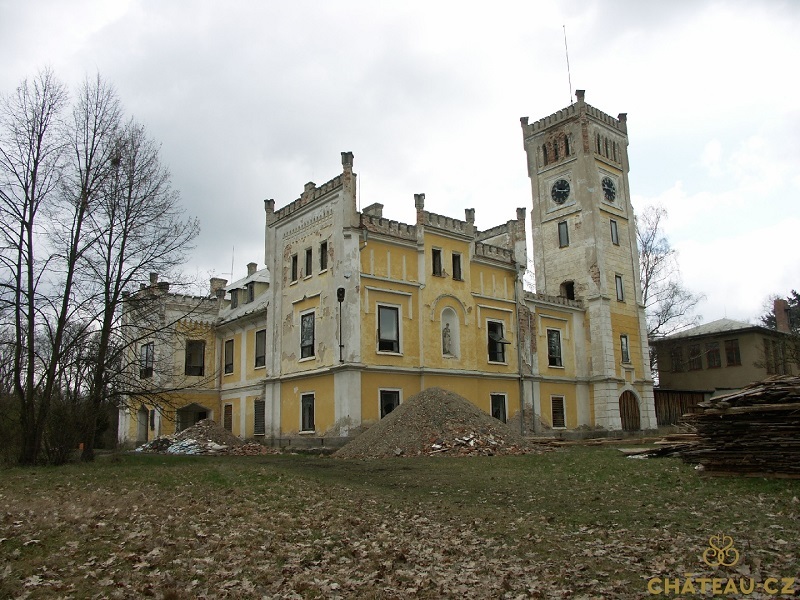 But by now the chateau had been so abused by the many changing hands of ownership and tenants, it no longer resembles the grand estate it once was. And it seems, that over a decade later, Elitprofit did not make good on their aim. 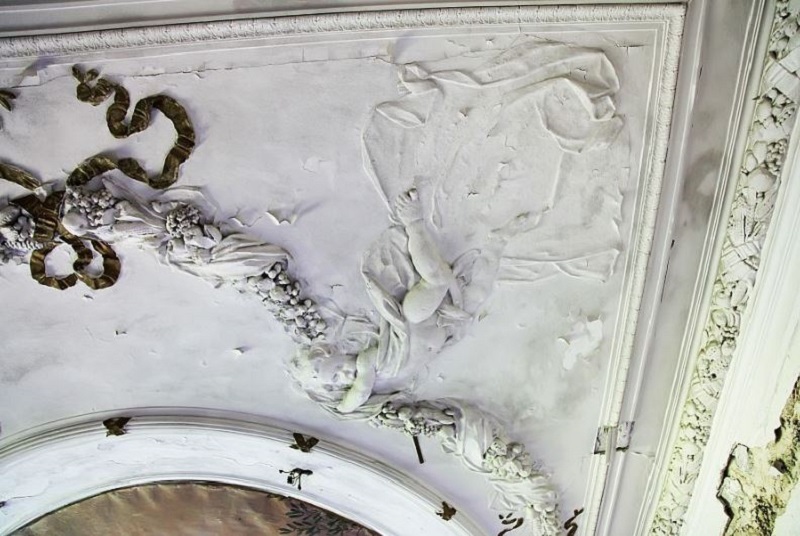 So now, even the angels and cherubs seem sad at what has befallen this once grand estate. 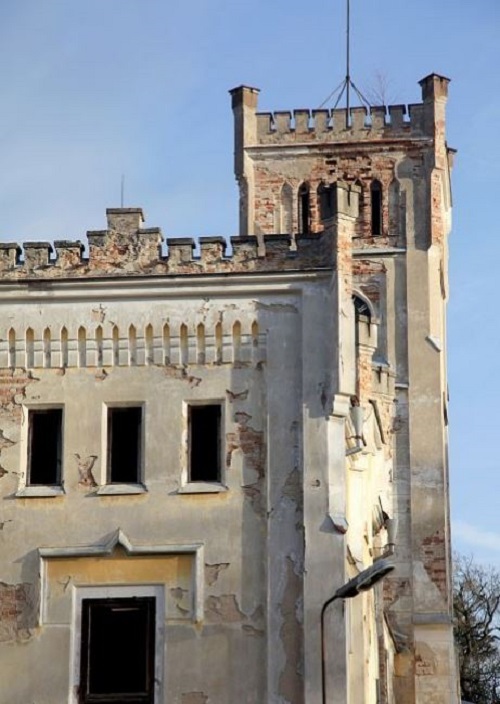 The castle is now in a state of unhappy abandonment. It still stands, as a rectangular two-story building with three Tudor arches. 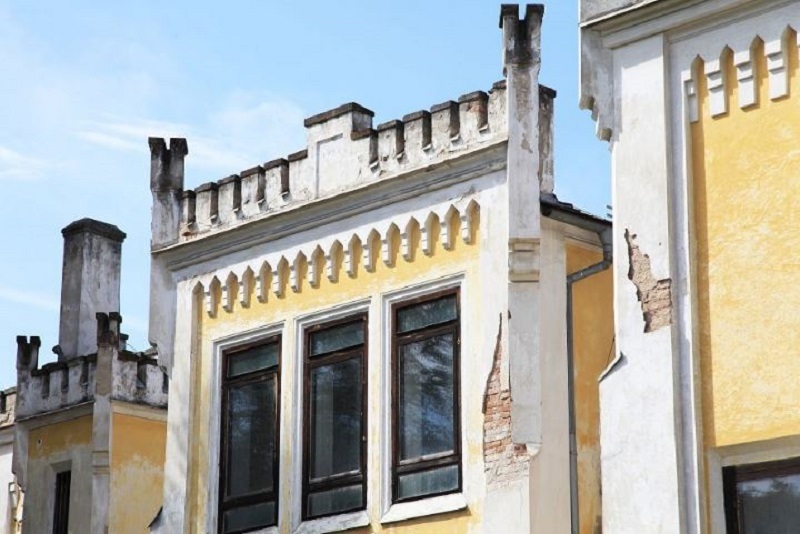 The east facade has aging buttresses on several levels, and the north facade is simple, even plain. 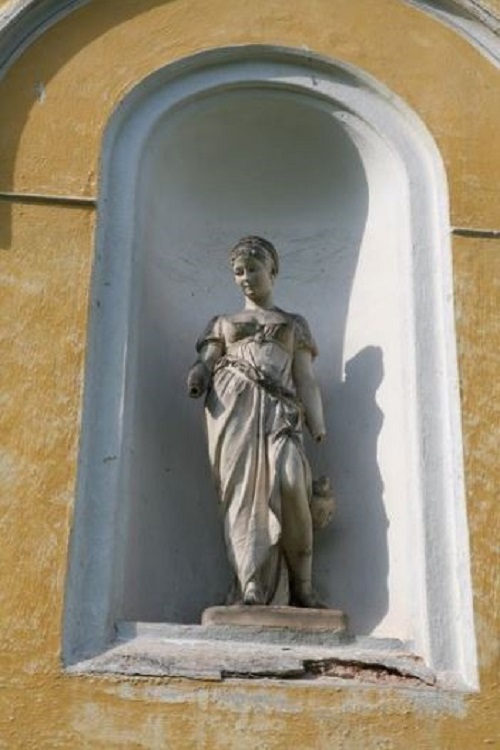 In contrast, the south facade is very rugged, on the first floor it is decorated with a niche that is home to a statue of a female figure. So sad and strange are her removed hands. 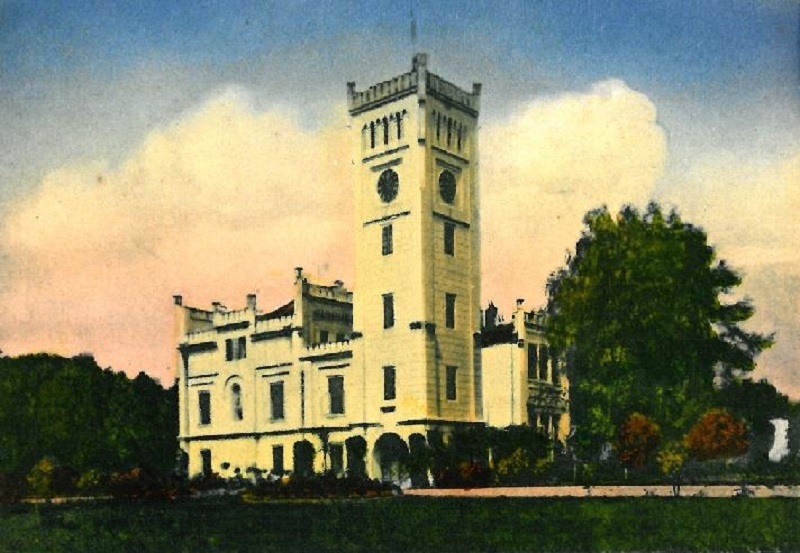 The southern corner rises 25 meters with a high four-story tower. 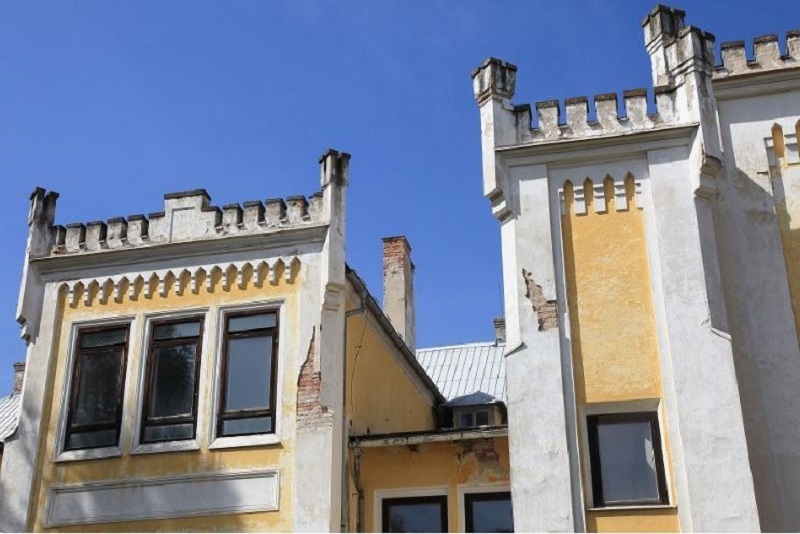 The structure is complete with battlements, which form a dominating feature of the whole building. The exterior facades of the rustic band, battlements re seen from all sides of the structure. And there are distinctive window architraves. It does look odd with the seemingly modern windows though. When you look more closely at the details, it is a rather strange design. 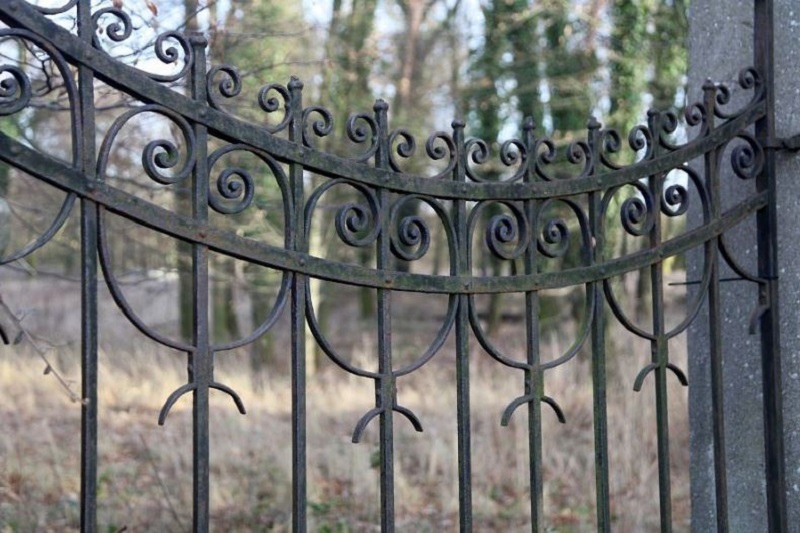 But perhaps it only seems that way because it is overgrown and so obviously neglected. 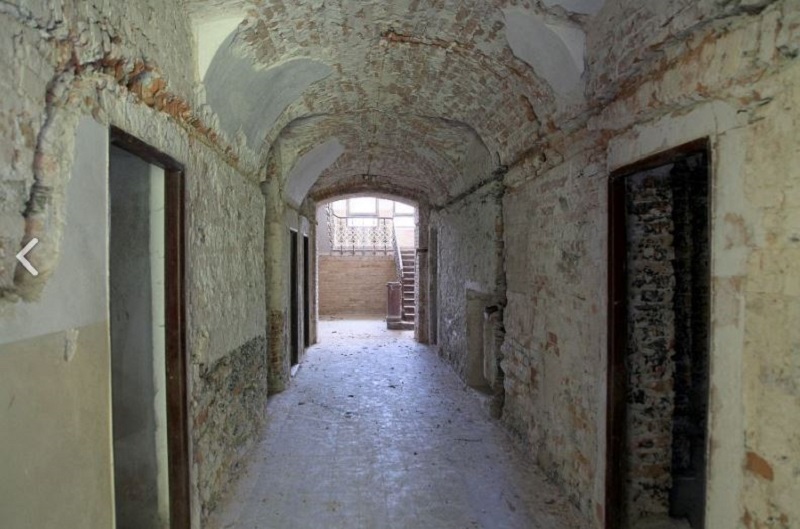 Here are the latest images from the chateau from a realtor, as it is now being offered for sale once again. 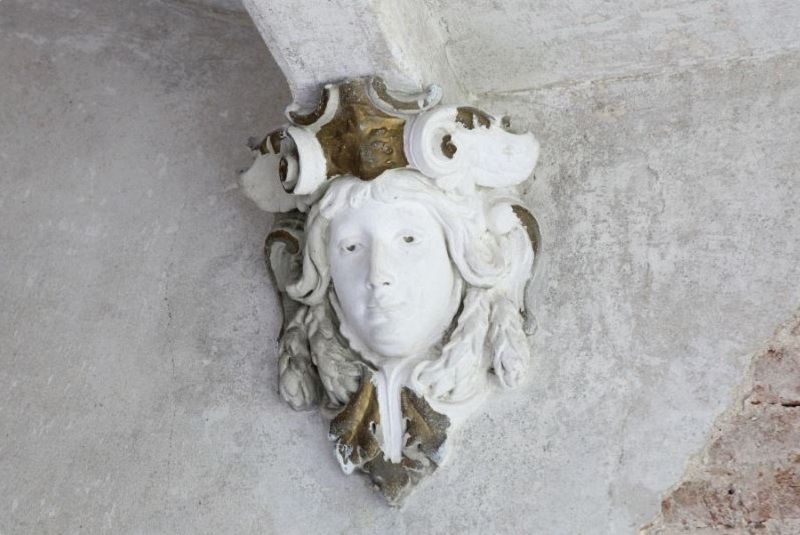 When we study the interior, after so many years of neglect, we do find some of the original details preserved. 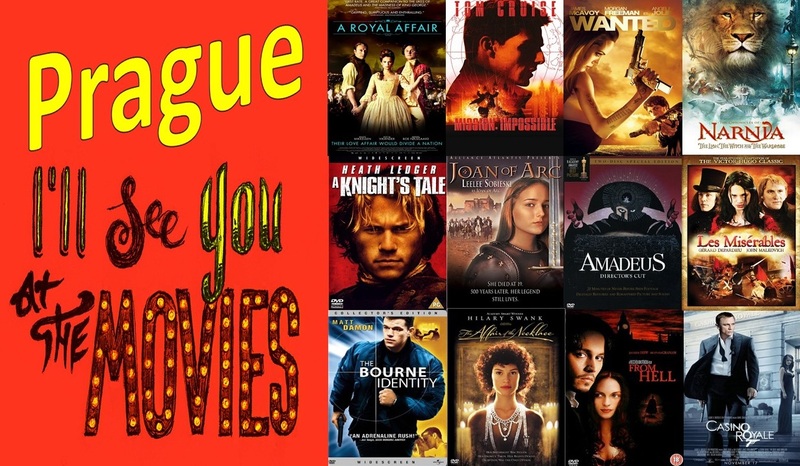 You can view some of those in the following images. 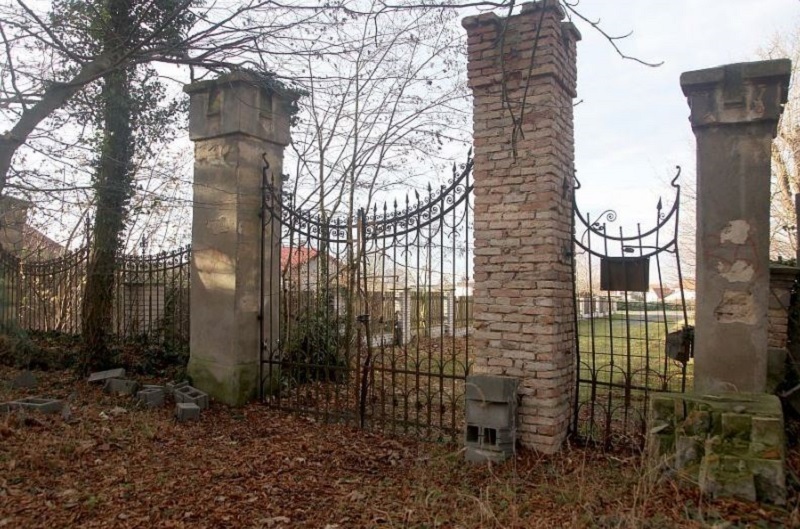 Even the gate around the chateau seems to tell of the sad fate of this property. 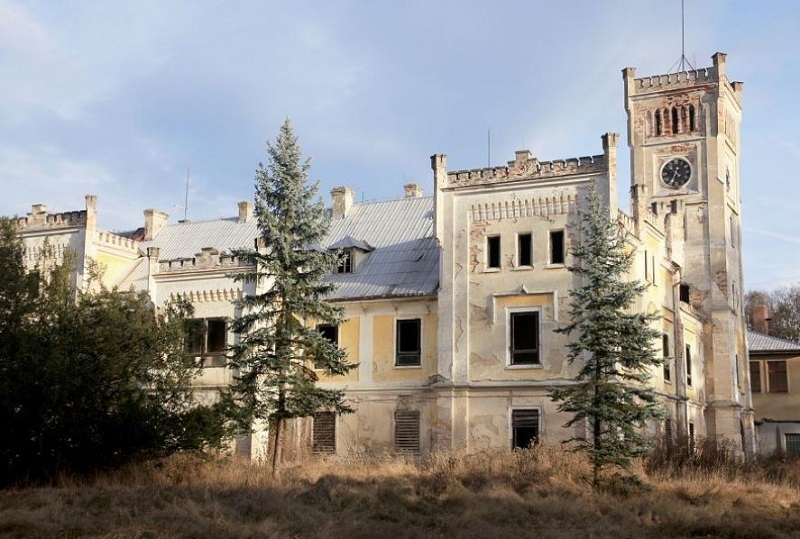 Rumor has it that at the end of his life, Kubelík was invited to perform for Queen Victoria at Windsor Palace. This means that he was reportedly one of the last artists who performed in front of the Queen before her death. 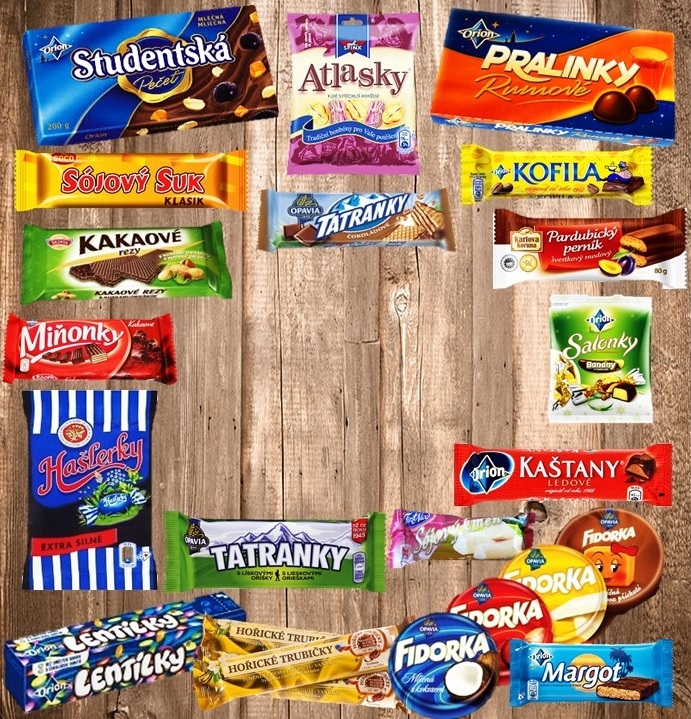 But later days were not good for Kubelík. 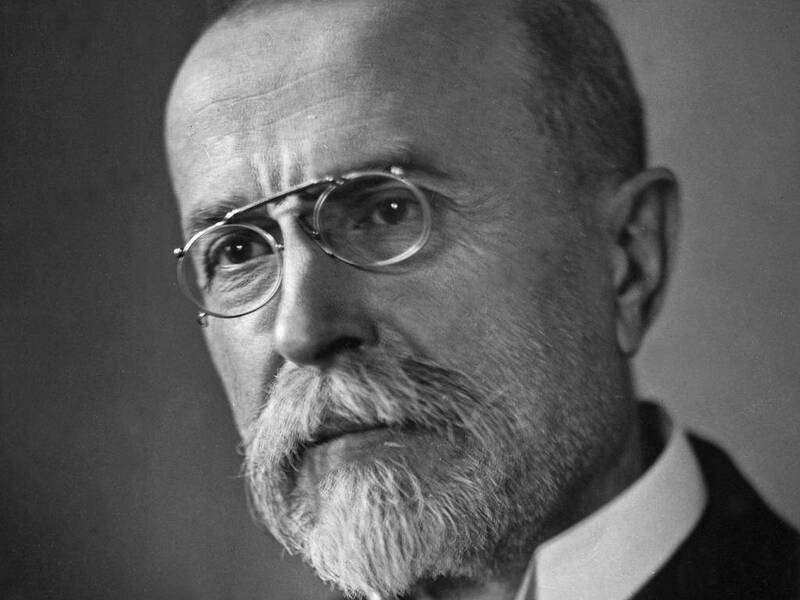 Jan Kubelík died in Prague in 1940, aged 60. He is buried at Vyšehrad Cemetery. Yes, his comparison with Paganini continued to grow even after his death. They both had a seemingly magical power over the violin, both were tall and lean with a bewitched look; and both had a huge success at first but by the end of their lives were fighting with several misfortunes which you can see in the headline above. So the magical violinist and the grand chateau both ended up with a similar fate. 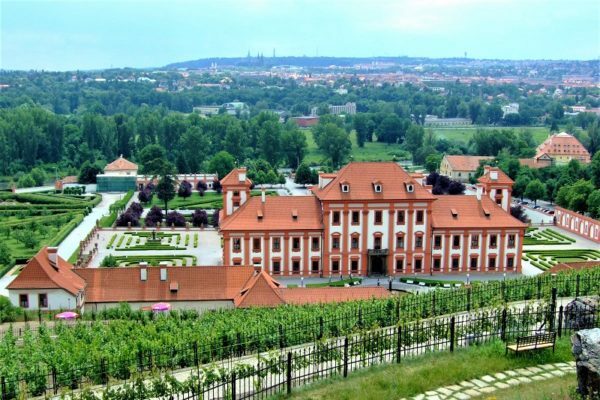 Býchory is surrounded with a 5 hectares large English Park, which once was an elegant piece of landscape architecture with delicately arranged floral scenery, perfectly harmonizing with ponds and fountains. 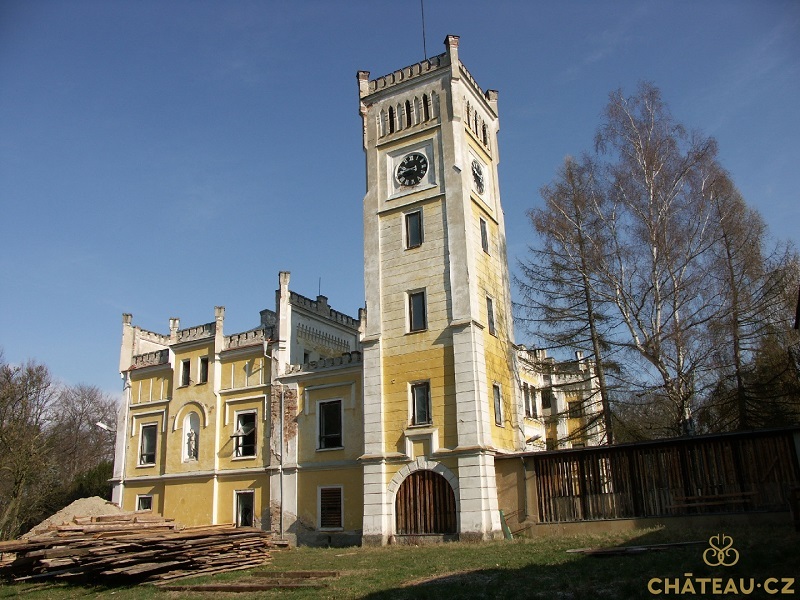 This chateau, rich with history, is currently for sale with a rice of $735,000 USD. 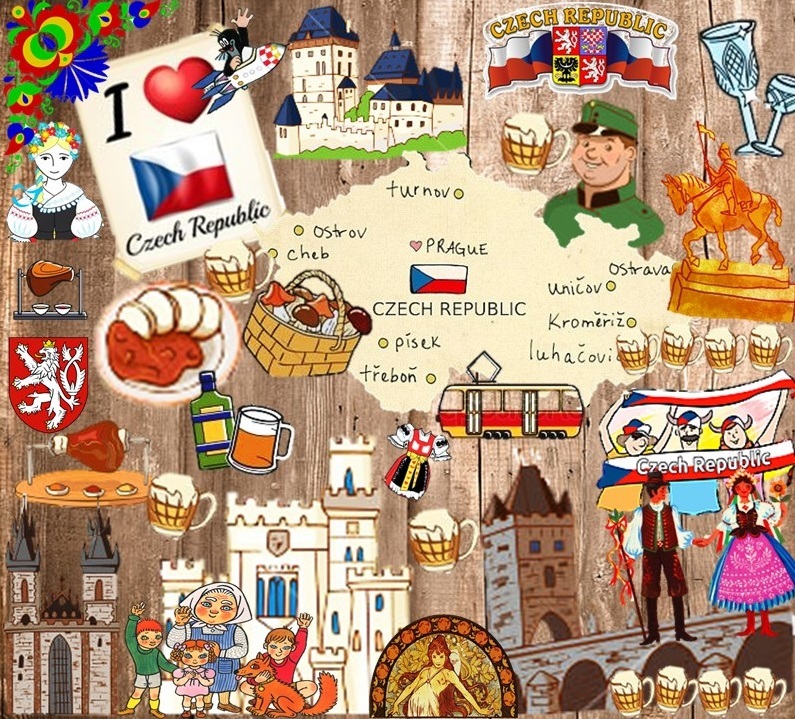 It was registered in the Central List of Real Cultural Monuments of the Czech Republic under the number 15554 / 2-3120 in 1986. 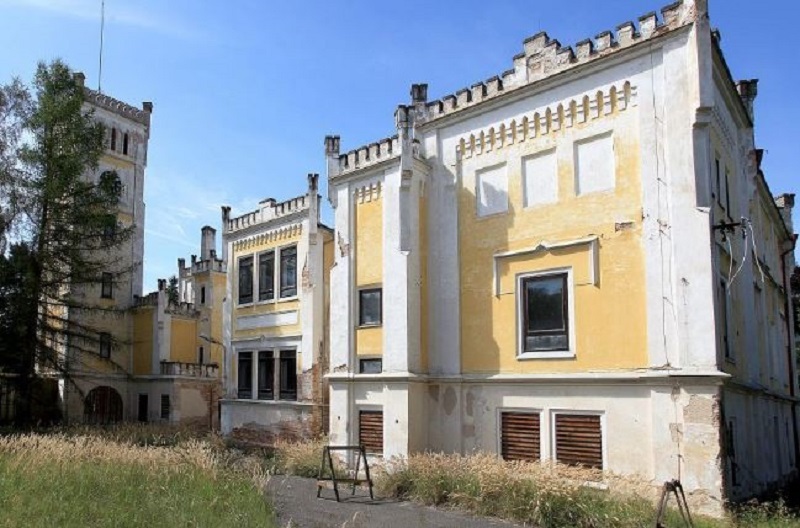 Let’s hope that the buyer has the desire and the financial means to restore this grand castle to its previous splendor. 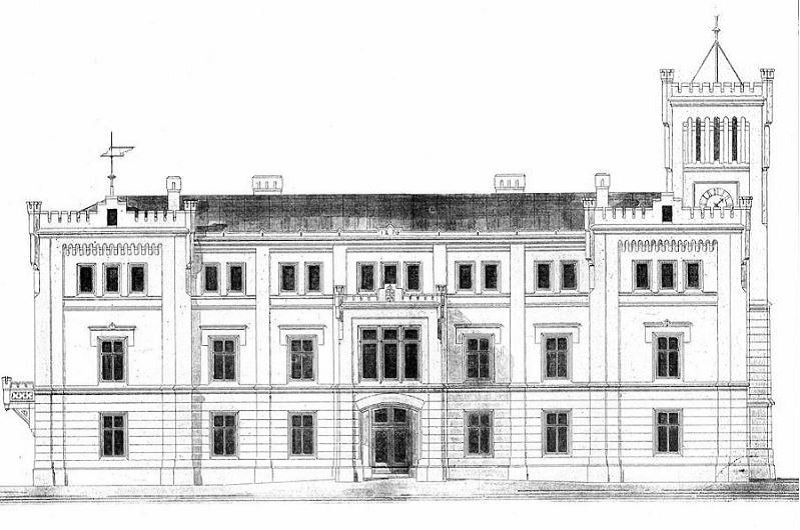 Visit the Jan Kubelík Society, here.